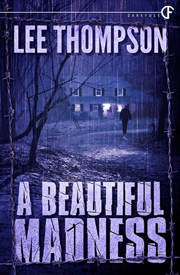 This entry was posted in Alumni News, Blog, Guest Blog, New Releases, On Writing, Recommended Reading and tagged A Beautiful Madness, Chip MacGregor, Contest, Crime, Darkfuse, Delirium Books, Down Here in the Dark, E-book, Free E-books, Giveaway, Goodreads Giveaway, It's Only Death, Kindle, Lee Thompson, Limited Edition Hardcover, MacGregor Literary, Measuring Success, On Writing, Shock Totem #4, Shock Totem #6, Suspense, With Fury in Hand, Writing, Writing Advice. Bookmark the permalink. Love your work! (And blog shared on my Facebook page). @Ken: Thanks for taking part in this and for offering up one of your hardcover copies of DOWN HERE IN THE DARK, man! @Samuel: Thanks, sir. I appreciate it! Good luck in winning one of the prizes on ST here, and follow the blog tour if you’d like. Leave a comment and share every post for more chances to win one of the paperbacks and the grand prize! I hope your writing is going great! @Doug: Always good to hear from you old friend! I have heard you comparing yourself to your peers (and lots of other writers doing it too). It’s a death trap. Keep shaking it off, and just write your stories, bud. Thanks for commenting and sharing the post, too! I have a few of your books lee. Looks like a good book to read. Haven’t read a good book in years. Would like to start with one like this. Really looking forward to a beautiful madness! Corrie: Thanks for buying some and for the comment! Good luck in the drawing for one of the prizes! Michael: Thanks for the comment and enthusiasm! I hope you dig it! Good luck in the drawing for one of the prizes! 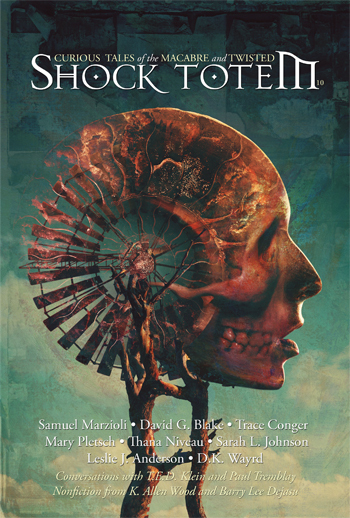 As one of those rabid Lee Thompson fans, I think that’s how I first discovered Shock Totem. Now I’m a fan of both. :) “How do you measure your success?” Contentment, I think. God, word count used to stress me out soooo much. I was worried about getting a book to be “industry standard,” but after getting some second opinions, I am far more comfortable letting a story be as long as it needs to be. Lucas: It was smart of you to ask some second opinions of that. Thanks for the comment and for participating in the Blog Tour + Giveaway! Congrats on your awesome news, too! I’m about to answer your email! After reading the plot of the the book, sounds like it is a great book. Thanks for becoming a friend on GoodReads.com. My pleasure, Philip! Thanks for being my friend on Goodreads as well! You’re in the running for a chance to win one of the prizes! Thanks so much for the comment! I actually read your Embrace collection and those Shock Totems mentioned. I enjoy reading your stories and look forward to your mystery. Thanks for the comment, Donald. You’re entered for a chance to win a paperback copy of ABM, one of the paperbacks of ST, a copy of Down Here in the Dark, and have a shot at the grand prize. Good luck! Excellent post! I’m really looking forward to reading more of your work. Thank you, Jennifer! :) You’re in the running for a chance at one of the prizes! Great advice! Looking forward to reading the novel! Thank you, Jason. You’re in the running for one of the prizes. Thanks for entering!